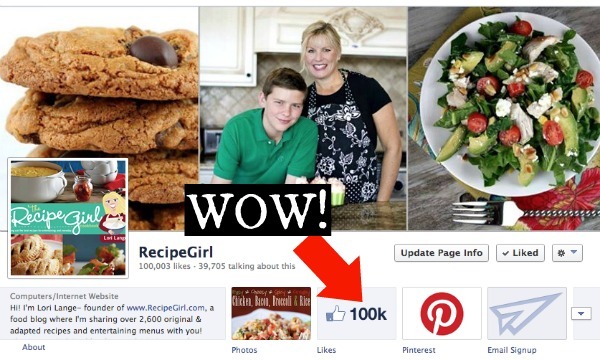 I’m still kind of freaking out about this, but my RecipeGirl Facebook page reached 100,000 LIKES yesterday. Isn’t that completely crazy?! 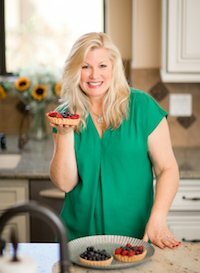 I love to share recipes that I spot in and around the internet from other food blogs, etc., as well as recipes of my own. Come follow me on Facebook for some food fun, if you’re not following me already! 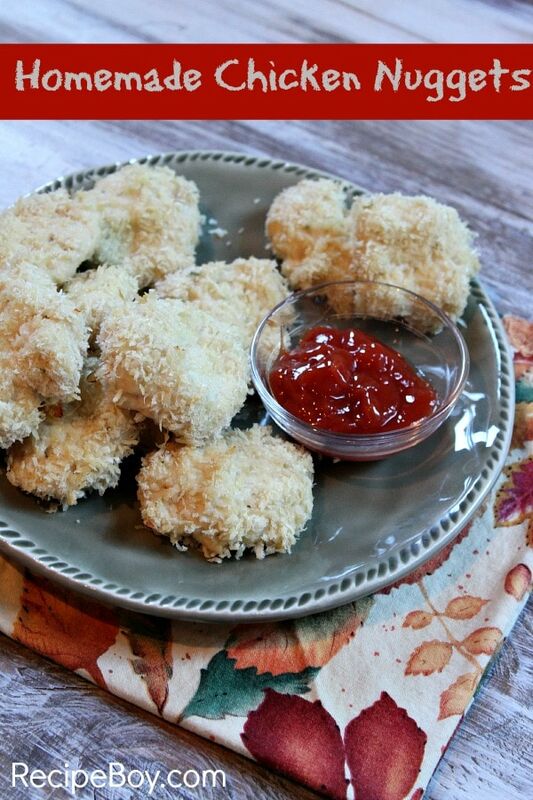 My BOY… my RecipeBoy shared a recipe for Homemade Chicken Nuggets this week. We made them together, and I must admit that they were very good. 100% better than any of that frozen stuff you may be lured into buying for your kids, and they were easy to make too. He’s also hosting a giveaway for a copy of the fabulous Weelicious Lunches cookbook- so head on over to RecipeBoy.com to check that out. This is what I can see from my kitchen window and family room! This little guy surprised me yesterday, along with 4 of his friends. They munched their way through my yard as their little herd was passing through. 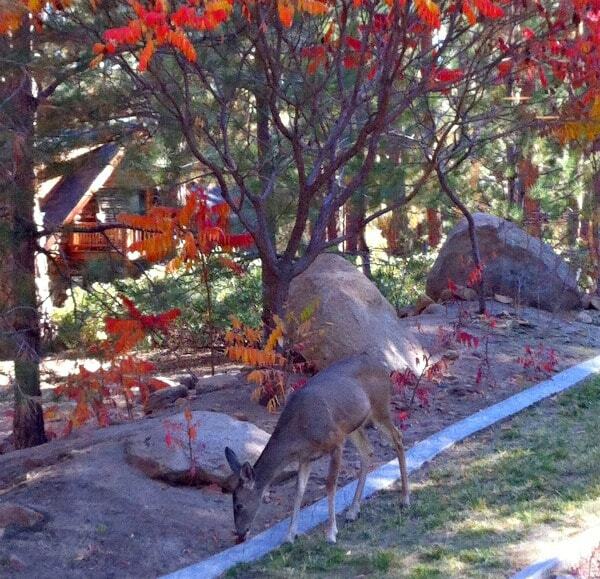 I love seeing deer in the yard! And you get a little peek at the colors on one of my backyard trees too. This is the first year I’ve seen the fall colors changing since we really didn’t experience that when we lived in San Diego (where everything just either stays green or dies and falls off the tree). It’s really beautiful here. I’m happy to announce a new partnership between RecipeGirl and Mike’s Hard Lemonade! True story: Many years back I was in Massachusetts for the summer. We were at a friend’s house and they offered me a Mike’s Hard Lemonade. I had no idea what that was, but I accepted the offer and quickly decided that it was my new favorite drinky drink. That was way back when they only actually had “lemonade.” Now Mike’s has cool flavors like Hard Strawberry Lemonade, Hard Mango Punch, and Hard Black Cherry Lemonade (and a whole bunch of other flavors too)! My husband and I are going to be conducting an official taste test this weekend of all of the hip flavors shown here. Which one do you think you’d like best? I know I’m going to love them all! 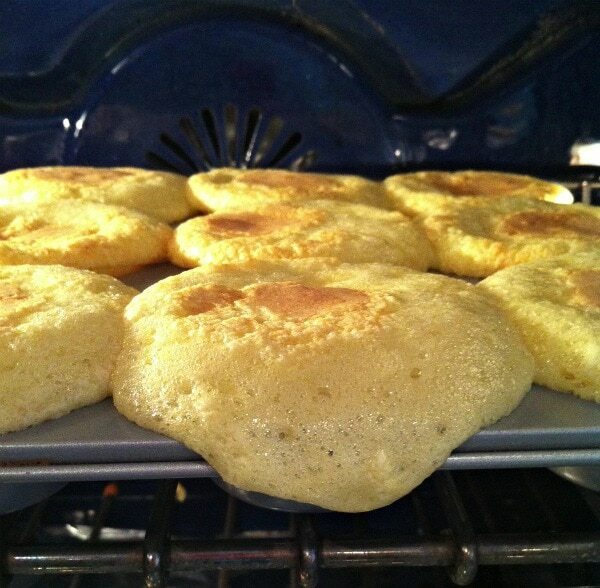 Yes, RecipeGirl does not always have success in the kitchen. I can’t decide if this recipe was my fault… or if there was something wrong with the recipe, but it just didn’t work at all. Total mess. The recipe was from the current Food Network Magazine: Golden Butter Popcorn Cupcakes. I followed the directions exactly, and this is what happened in my oven. The only thing I can think of is that I am at 6,000 feet elevation and something was whacky there, but I’ve been baking a lot of things in my oven since I moved and haven’t had a disaster like this. I had to toss it all. Bummer. 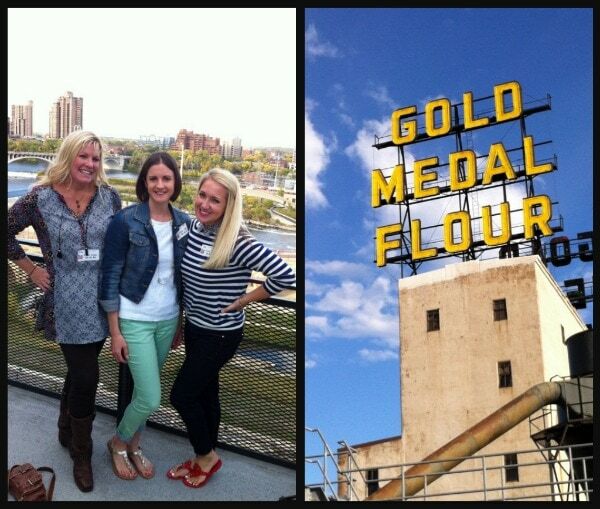 I took a quick trip to Minneapolis last week to visit one of the companies I work closely with: General Mills (Gold Medal Flour). I had never really seen much of Minneapolis before, so it was fun to explore the city on a Segway, visit the Mill City Museum and have dinner at the fabulous Bar La Grassa. We were served an appetizer that I’d travel back to Minneapolis to eat: Bruschetta with soft eggs and lobster. Sounds weird, right? I thought the same thing, but it was seriously one of the most delicious things I’ve ever eaten! Pictured above are two of my favorite people: Maria from Two Peas and Their Pod and Jenny from Picky Palate. We did manage to do a little bit of shopping at the famous Mall of America too! While at General Mills, I baked two of my recipes in their official Betty Crocker Test Kitchens! 1. 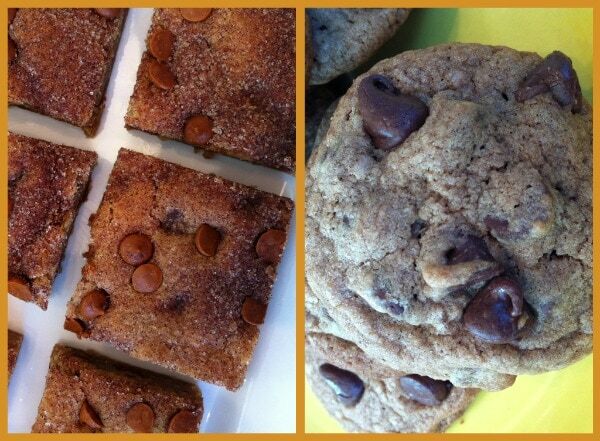 Snickerdoodle Blondies (always a favorite) and 2. Kahula- Espresso Chocolate Chip Cookies (my husband’s favorite cookie). Both of these recipes happen to be in The Recipe Girl Cookbook too. Speaking of The Recipe Girl Cookbook… Amazon says it only has 18 left in stock. That’s kind of fun- please buy them up so they have to order more! And FINALLY… did you watch the season premiere of The Walking Dead??? There are some interesting new plot lines happening! People who don’t watch this show think I’m absolutely crazy for watching a show about zombies, but seriously… if you ever see the first couple of episodes of this series, you’ll be a goner and have to watch the entire thing. You simply HAVE to find out what happens. I’m so excited that the new season has started! Until next week, my friends…. have a great rest of the week! *There are Amazon affiliate links included within this post. 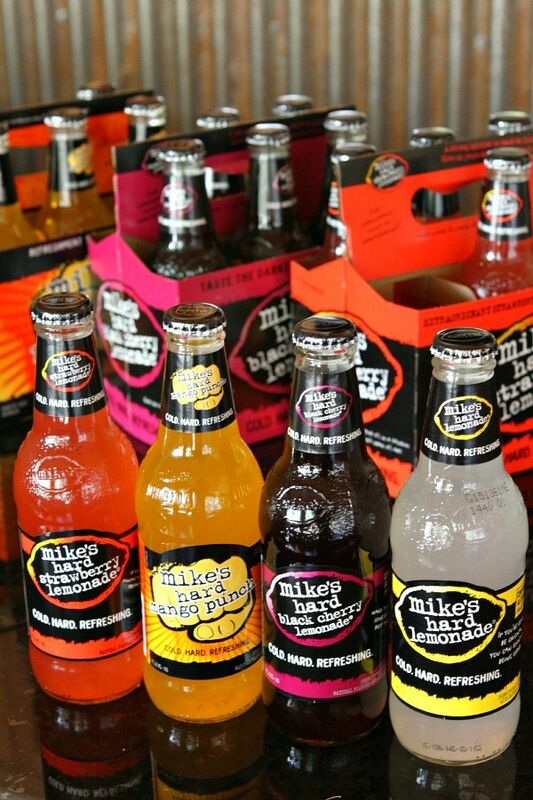 *I am working with Mike’s Hard Lemonade to help promote their products- all opinions shared are my own. The Walking Dead is so crazy this season! We get introduced to a new character, then they get killed off! These recipes are so much fun! Thanks for sharing! Love these posts! I have been on the fence about Gravity.. maybe it’s a renter? These types of posts are some of my favorites. I made your Pumpkin Bread and Pumpkin Scones this week. Yum!! I find myself coming to your site every week for a recipe. 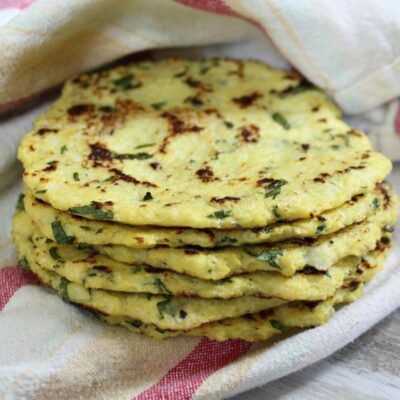 You are in my top 3 sites for recipes. That makes me so happy- thank you! 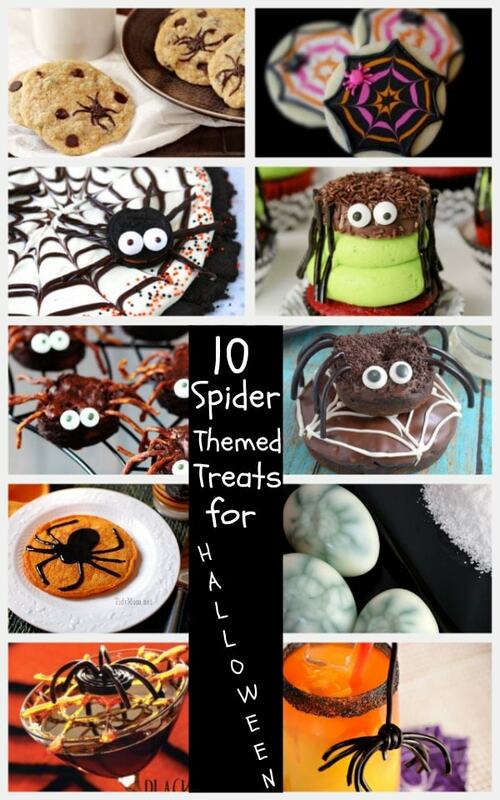 Hey, thanks for including my Band-Aid cookies in your Parade post….I admit I love creepy Halloween food. And I have to try those new Hard Lemonade flavors, they sound really good! You’re welcome- those are completely gross! Good stuff here Lori!! I finally got to see a movie in an actual theater (first time in over 10 months) and it was Gravity. I totally loved it. 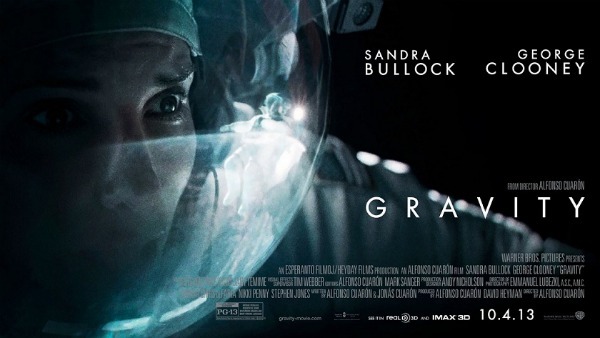 It could have been the environment, popcorn, and friends… but I’m a huge Sandra Bullock fan, so I enjoyed it. 🙂 Congrats on your 100K fans! Woot Woot! Well, I didn’t really “dislike” the movie, but I definitely wasn’t as WOWED as I expected to be. I wanted more Clooney, lol! Great shares this week! Congrats on 100k! That is incredible and I cannot even imagine! Way to go!! 🙂 You are very inspiring! 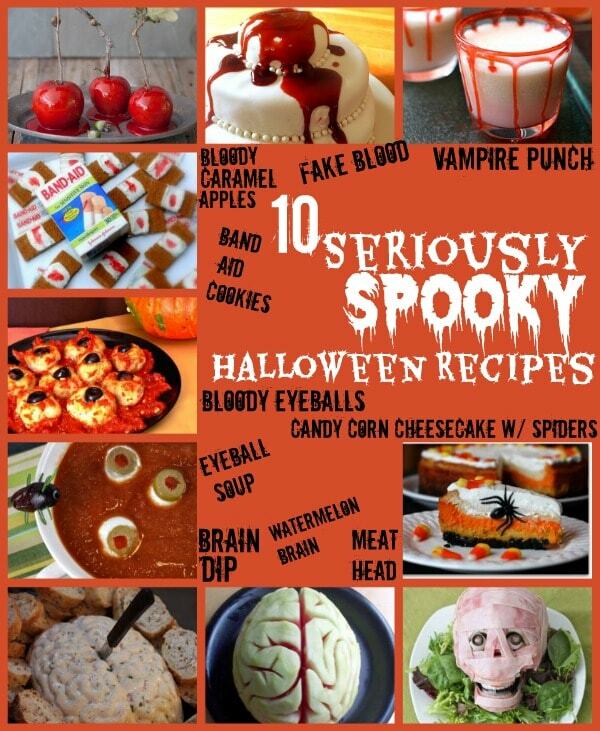 Love all the creepy Halloween food! So fun! Oh and the elevation baking? Ugh. Sometimes I have a hard time and sometimes things work fine. It can be crazy annoying, but let me know if you figure out any tips! Congrats on reaching 100K+ likes on FB! Creepy fun with those spider cookies. Saw the spider chocolate chip cookies floating around Pinterest before Amanda baked them, hers are prettier. Beautiful autumn backyard shot! I love fall. Wish I started watching The Walking Dead! (I know! What is my problem?) I’m into Zombie everything in film, but we don’t watch much network TV at all…but, watch the good stuff on cable. Don’t have much time for TV even at that, LOL. Thanks for sharing, Lori! And that recipe fail. I saw it on your IG. And 2 hours later, I had a recipe fail. I was so ticked! 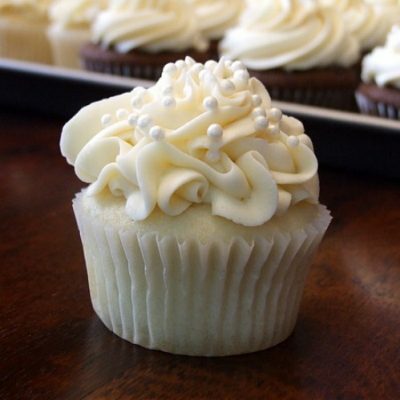 If you have more info about elevation baking, please do a post about it! I am asked constantly about it and I have no idea what to say and refer to the King Arthur site who has quite a bit of info but no personal experience. 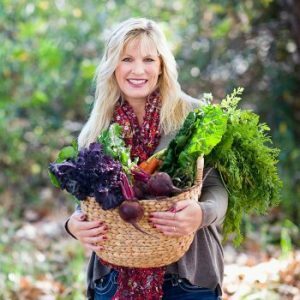 I refer to http://www.mountainmamacooks.com quite often. She knows her stuff about high altitude baking! And I agree… winter is not do-able in Minneapolis. I was there in January once and it’s not very fun!! There’s SO many deer all around my property. It’s a little scary when I walk my dog every morning, because we literally come upon deer at least twice per walk, haha. What a great MN trip; and I love the Halloween treats! Congratulations on hitting the 100k!! So well deserved! Can I just say how excited I am for the new “Walking Dead” season? So so so so excited! !